The status bar is an omnipresent force on our Samsung Galaxy S3s; always there to give us that vital information about battery life, date and time, Wi-Fi access, and much more. But there's just something about that default black bar that's so...boring. 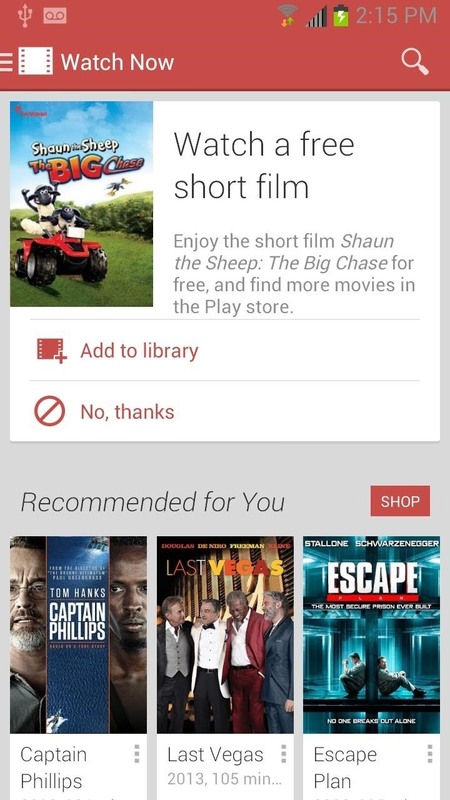 When Google launched Android KitKat, they attempted to alleviate our boredom with transparent status bars. 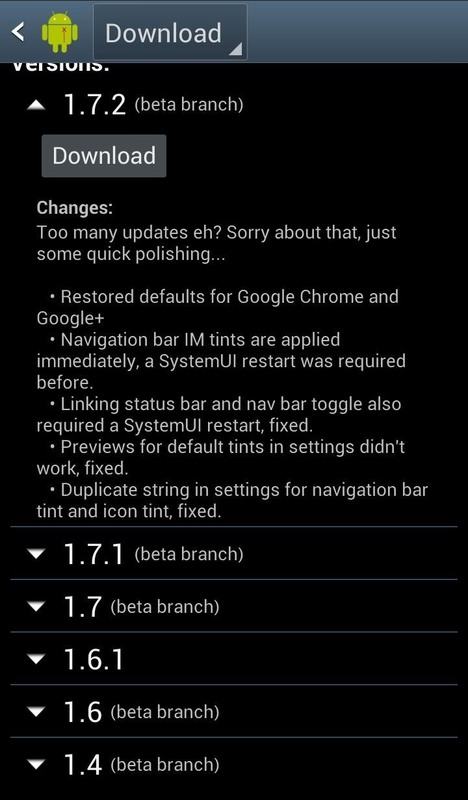 Unfortunately, our GS3s aren't quite there yet, but with Tinted Status Bar by renowned dev MohammadAG, we can automatically change status bar colors to blend in with current apps (just like in KitKat) or make them any custom color we want. 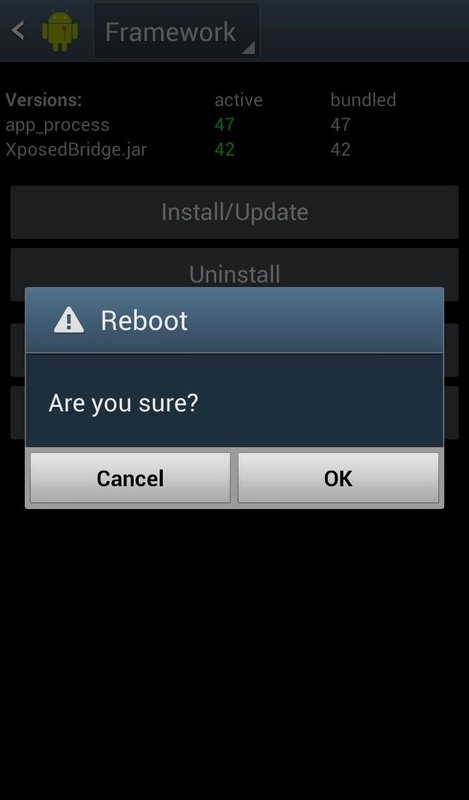 Before we begin, make sure you're rooted, have "Unknown sources" enabled, and have the latest version of Xposed Installer on your device. 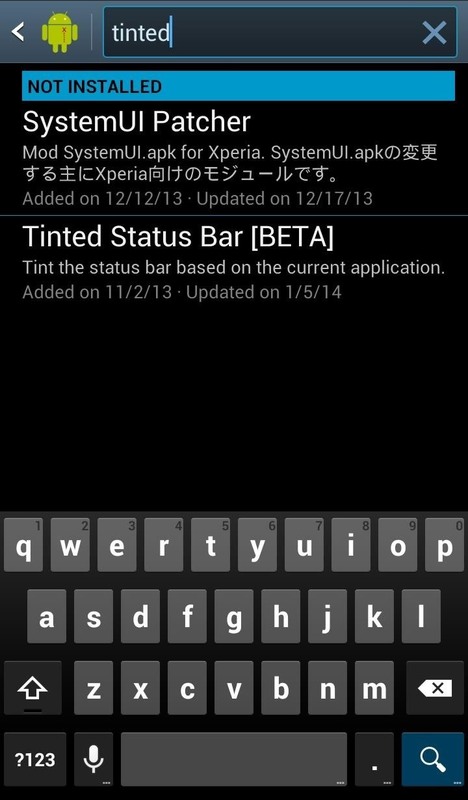 We can find Tinted Status Bar by searching for it in the Download section of Xposed Installer. 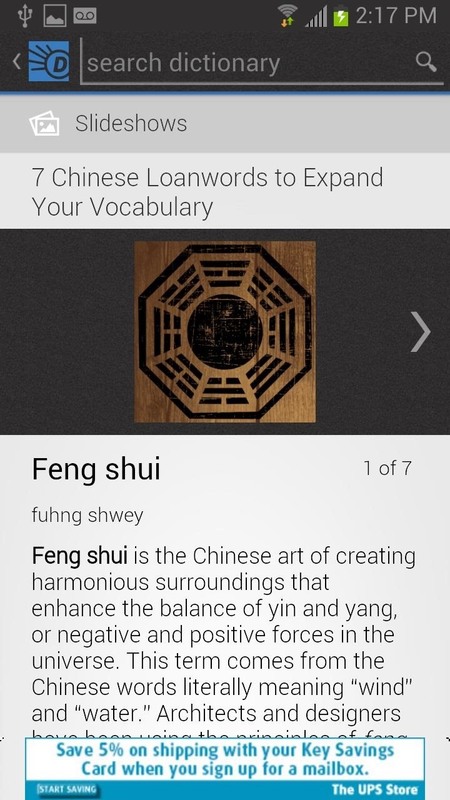 The app is still in beta, so make sure to download and install the latest version. Once we've downloaded and installed the module, we need to enable it. 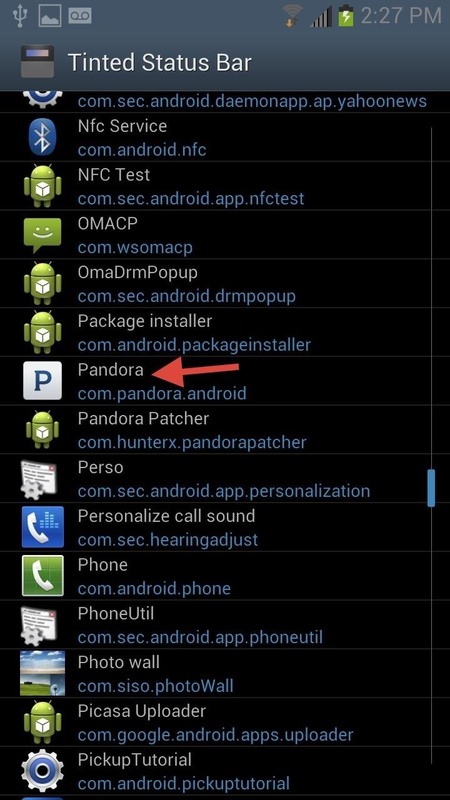 Go to the Modules section in Xposed Installer and check the box next to Tinted Status Bar, then reboot your device. Note: If the mod doesn't work after reboot, you may need to uncheck your other modules as they can sometimes interfere with one another, causing issues. The mod will be "on" after reboot. Just open an app and you should see the status bar automatically change to match the color of the current app. 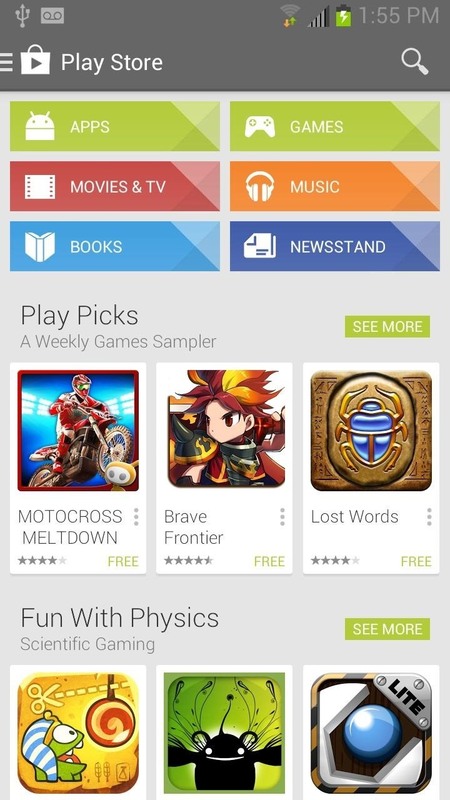 Some apps will blend better than others, as you can see below. This isn't necessarily a glitch; not all apps are designed to make use of this feature, no matter whether you're using this mod or natively through KitKat. 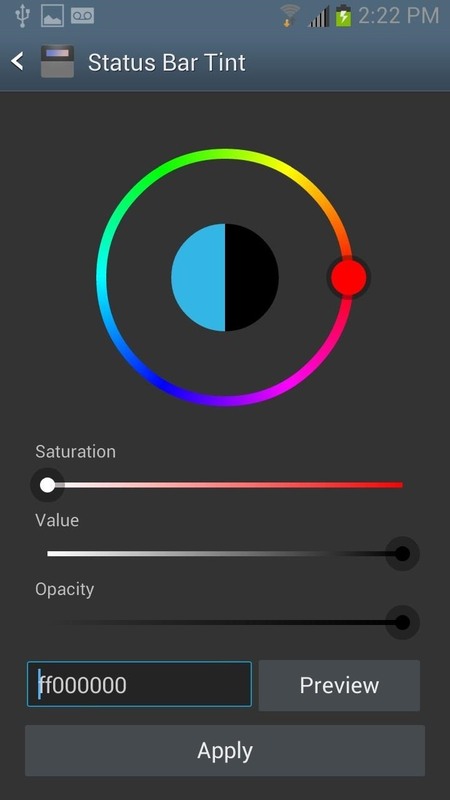 If you aren't satisfied with the default color blends, you can create your own for individual apps or system wide. 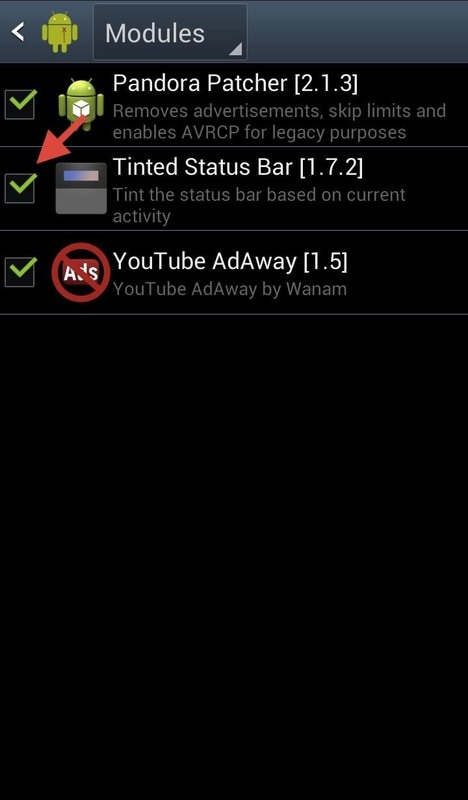 Change the status bar color for an individual app by selecting it from the list inside the Tinted Status Bar app. 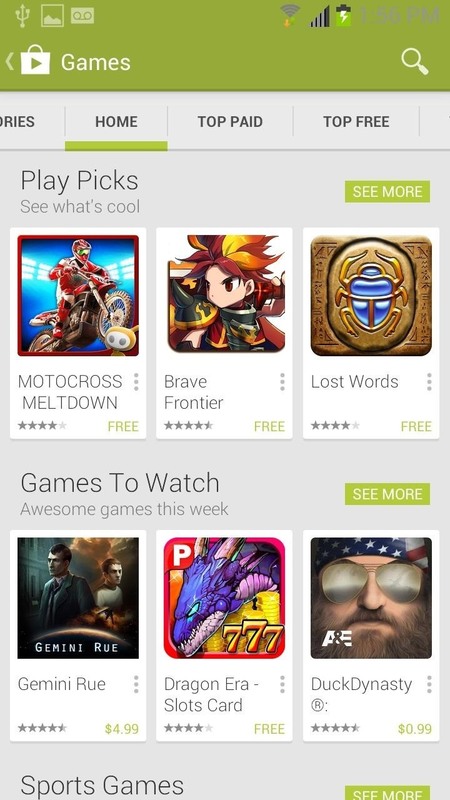 Once an app is selected, another list will populate. 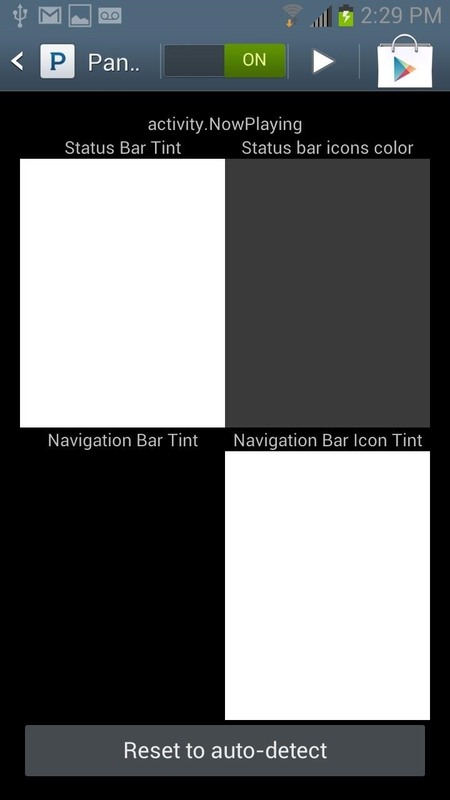 This list shows the different stages, or activities, where the status bar color can be altered. 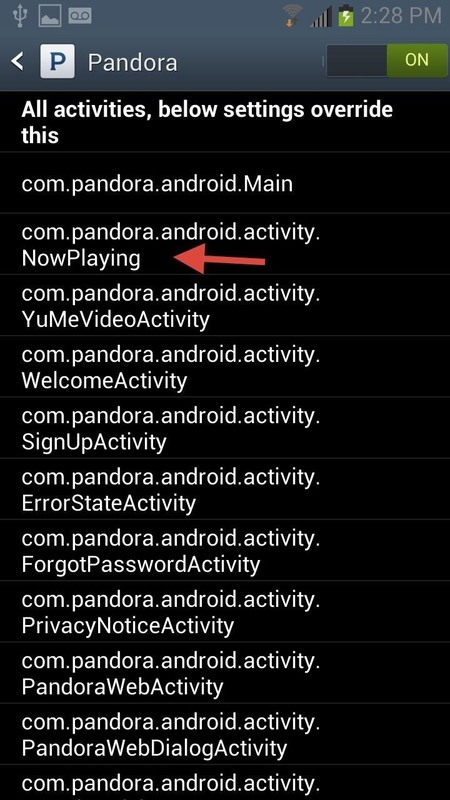 With Pandora, for example, I chose to change the status bar at the "Now Playing" screen, since that is the one page I see the most. After selecting the activity, it's time to set a color. If you want a more specific color than the color wheel provides, you can enter in the HEX color code in the text field. 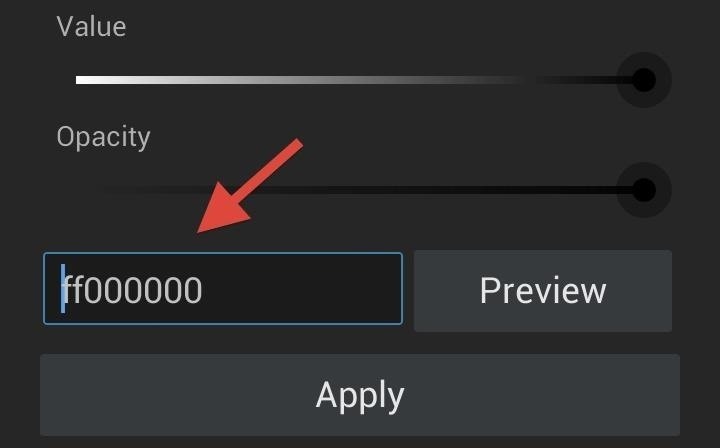 Now that you've got your spiffy status bar, make sure to check out our softModder guides for other cool Xposed softMods.